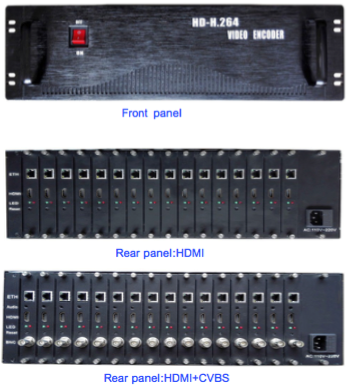 Encodium EDM400S series HDMI/HD-SDI input, it is the world’s New Generation HEVC H.265/H.264 hardware encoder in a professional grade, compact streaming appliance. Its advanced HEVC compression enables users to stream broadcast quality 1080p video with up to 50% bandwidth savings compared to today’s H.264 standards. Encodium EDM400S series boasts an all-hardware compression chip for real time encoding with advanced audio and meta data handling – all packaged in a portable device with low power consumption, which makes it possible to take next generation HEVC encoding from the server rooms into the field for professional and industrial applications with easy integration to education, health care, IPTV, conference, remote education, news interview, banking, transportation and other industries. Whether it’s from live news broadcasting in the field, Point-to-Point contribution of HD video, live streaming from or within sports venues or fast move picture – demand for high quality real-time video anywhere, anytime is growing. The increase of video services translates to rising expenses for purchasing more satellite, cellular or other dedicated network bandwidth. 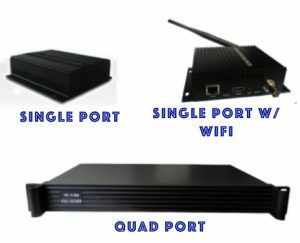 The Encoder’s cutting edge HEVC compression and streaming capabilities allows broadcasters, IPTV providers, A/V teams, corporate IT to reduce Operating Expenses (OPEX) for video streaming projects while managing demand for more video services and requests for higher quality video on existing bandwidth capability. A built-in video matrix enables routing of video sources to both the HEVC and H.264 compression cores for generating streams in both H.265 and H.264 formats. The on-board hardware scaler can be used for real-time downscaling, frame-sampling and flexible cropping options delivering the most optimized video output for your application.